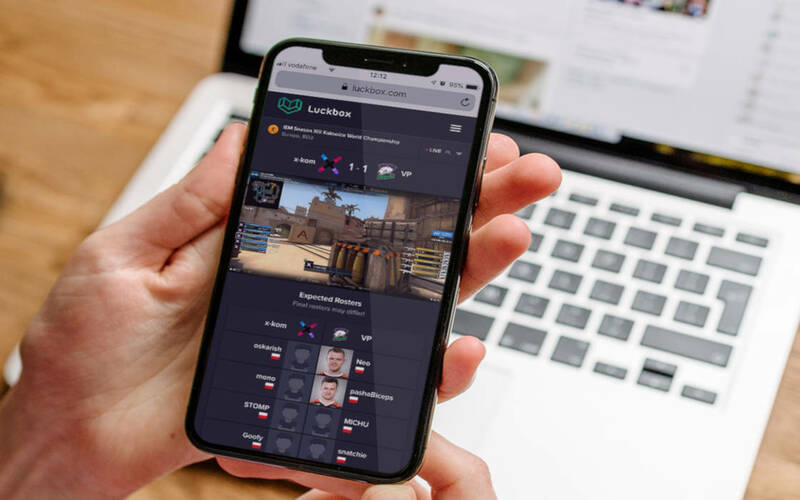 Blockchain-powered esports betting platform Luckbox is gearing up for an early launch this year. Metodi Zaburtov has now joined as Head of Risk Management. With a release coming in early 2019, Isle of Man-licensed esports betting blockchain platform Luckbox has revealed the appointment of Metodi Zaburtov as Head of Risk Management and Operations – Sportsbook on Friday, February 1. I will be overseeing the day-to-day trading operations in an effort to keep up to the high-quality standards we set. “This will be a role with many intersections to other departments such as fraud, integrity, CRM, product and support,” Mr. Zaburtov added. Describing himself as a casual player and an avid esports consumer, Mr. Zaburtov is familiar with the fabric of the industry, having previously worked at Esports.com and UltraPlay, a competitor platform. We’re continually striving to mix gambling industry nous with a passion and understanding of esports and Metodi personifies that perfectly. Luckbox is one of the latest esports betting companies to obtain a license from a respected authority, the Isle of Man. The platform will open up by accepting bets on three titles in particular: CSGO, Dota 2, League of Legends. The platform will allow users to make bets in cryptocurrency, FIAT money or by staking in-game items or skins, guaranteeing a variety of betting options. It would be interesting to see how Luckbox would work their way around esports betting with skins and items, as these practices are largely looked-down upon by Valve, which issued cease-and-desist letters to multiple major trading websites in 2016, derailing a major vertical. Luckbox’s appointment of Metodi Zaburtov is just the latest addition to an exceedingly talented team. Members of the team have worked for multiple established companies throughout the esports industry, including GosuGamers ,and collaborated with Blizzard, ESL, and others. Luckbox is endorsed by many esports personalities including Paul “Redeye” Chaloner, an esports legend, caster, and personality with strong opinions about the gaming, social, and business aspects of the industry. Mr. Chaloner is closely involved with the company’s popular podcast series. Sujoy Roy is the present head of esports at Luckbox and also a co-host of the podcast. The company is now gearing for an imminent launch which hopes to create a safe esports betting market for the millions of fans around the world. A member of the Esports Integrity Coalition (ESIC), Luckbox is going to contribute to the transparency of esports contests. Luckbox has appointed Metodi Zaburtov as the platform's new Head of Risk Management. Luckbox is preparing to launch in the first half of 2019.